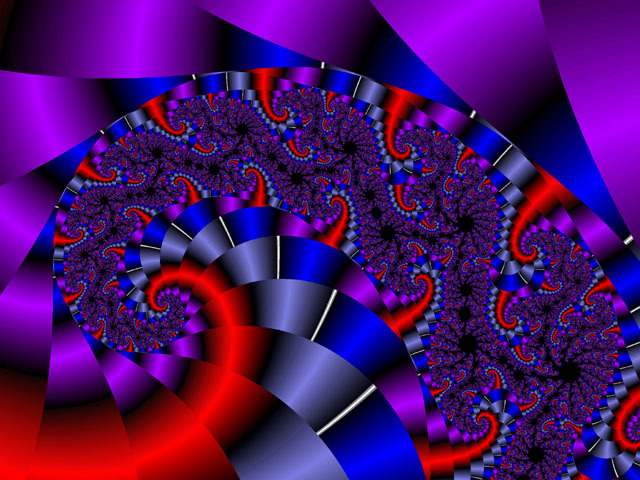 Most of these images were created using Fractint, a fractal generation program, POV-Ray, a raytracing program, or both. Click on a thumbnail to get a larger version of the picture. All images are (C) copyright Josh Levenberg. Please do not use these images without permission. The most recent image is for the MGSA T-Shirt. 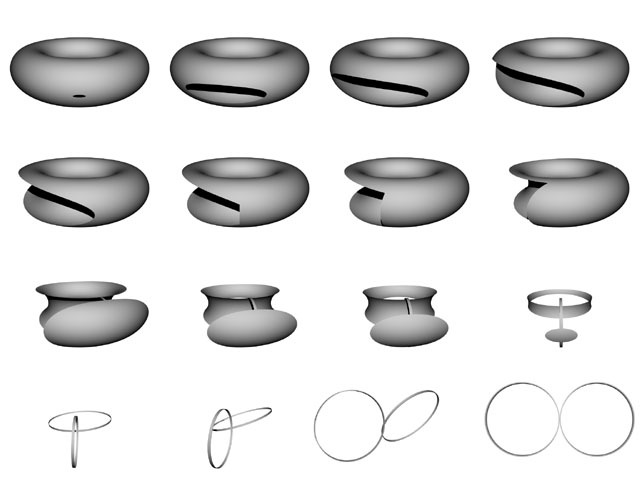 This shows several frames of an animation of a punctured torus deforming into a figure 8. This shows a tripple cover of the torus with a cross section removed. 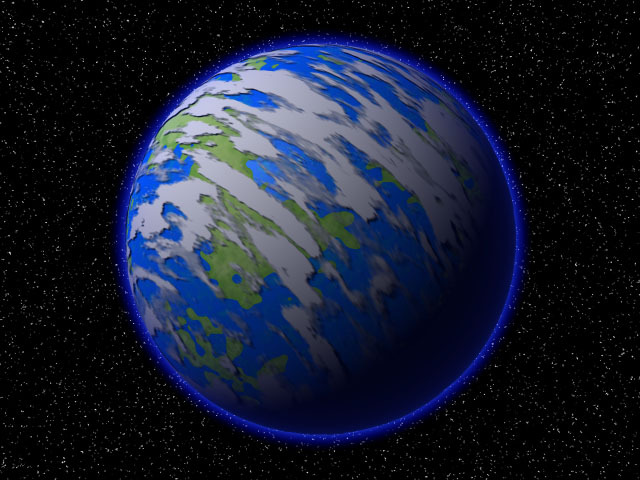 This is a rendering of a 3 dimensional projection of a Julia set computed using quaternions. 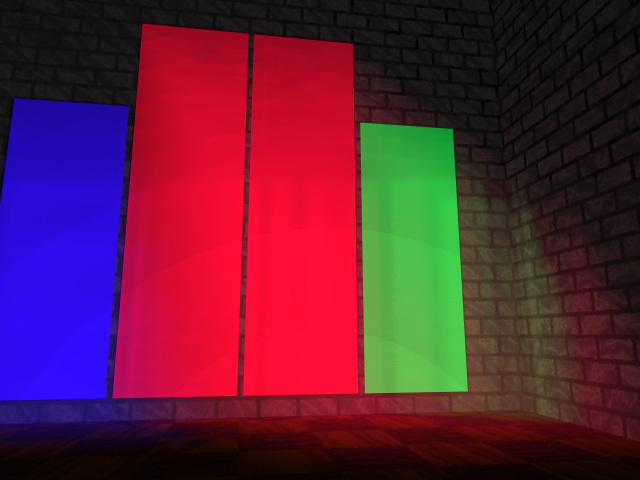 This is a work in progress to make a stained glass window. Uses the new atmospheric effects of POV 3.0. 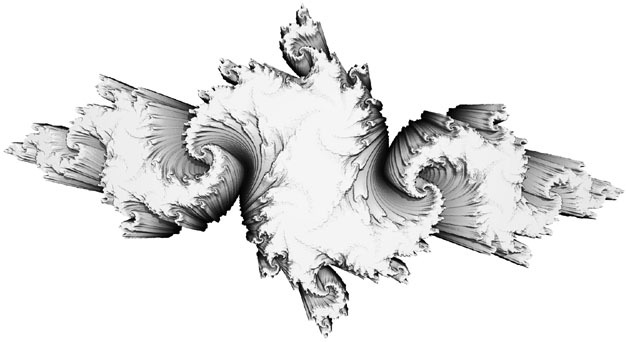 This is several Julia Sets stacked on top of each other, rendered as a 3d model. 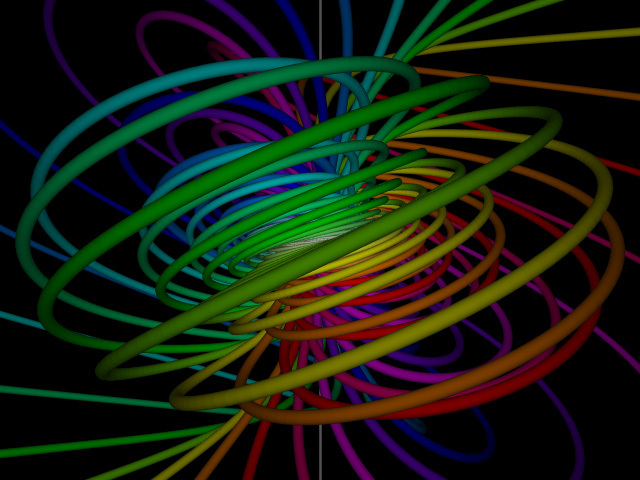 This is a rendering of the Hopf Fibration of the 3-sphere. From an animation of mine. This is an exploding cube. 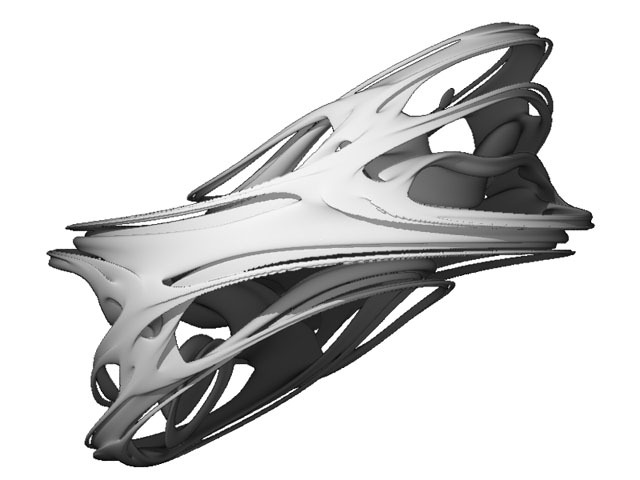 This plots the behavior of Newton's method to find the 5 fifth roots of 1 in the complex plane. 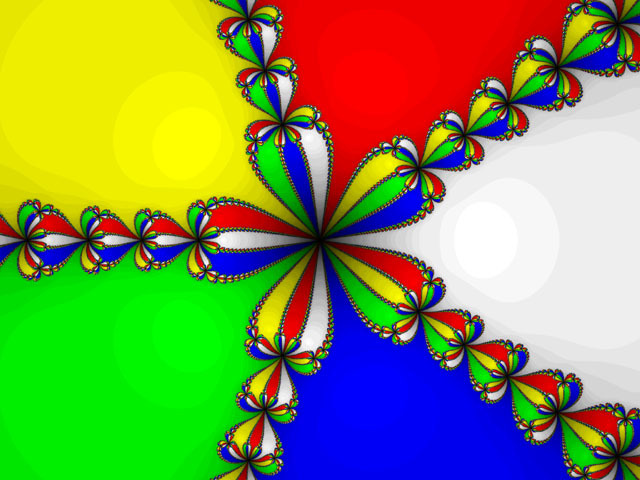 This is a Lambda Julia set colored according to the argument of the last iterated value. 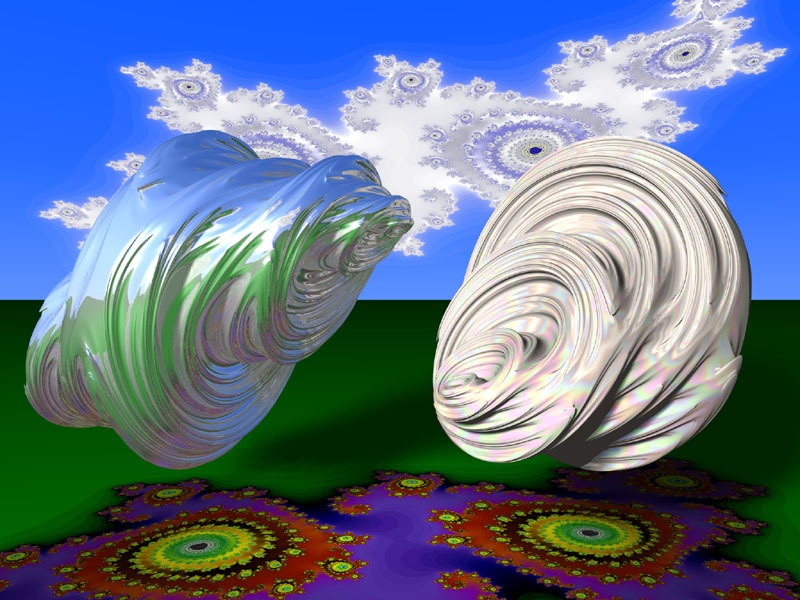 A couple of views of a two and a three dimensional slice of a quaternion Julia set. 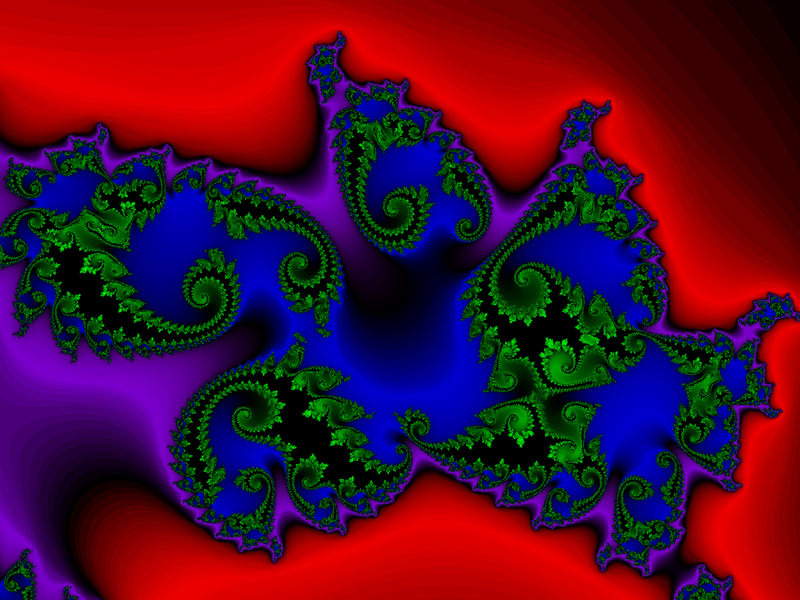 A Phoenix fractal. 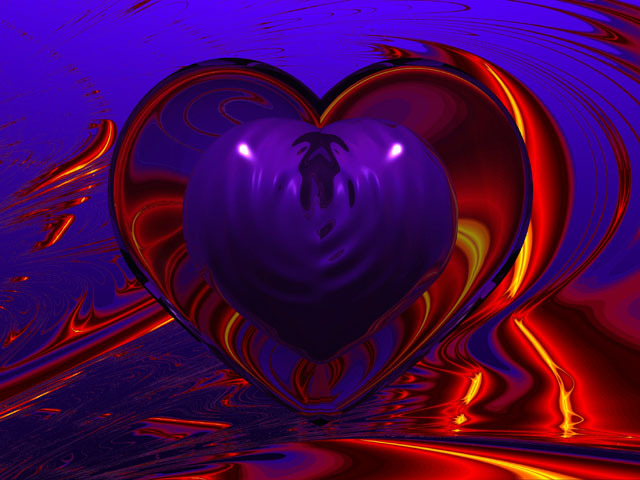 I smoothed the color transitions by averaging several pictures with different bailout values. The Reeb Foliation of the 3-Sphere. The limitations of silkscreening forced me to come up with clever method of shading. Over 200 hours of rendering and a lot of Photoshop work were used to get this wood-cut effect.